On the fateful day of 11 April 2019 when the worlds largest democracy was busy in conducting elections in North Kashmir with the help of massive presence of armed forces, a 12-year-old Kashmiri kid was discussing with his friends the ordeal of helping the helpless. He would soon become one of the hundreds of kids killed by armed forces in Kashmir. Owais Ahmed Mir of Mandigam Qaziabad (Kupwara) was very passionate about playing cricket and his down to earth temperament endeared him to the whole village. A friend of Owais said that Owais was not only good at cricket but was an excellent student. A 7th standard student, Owais was top of his class. Owais dreamed to be a doctor, his friends said. “He wanted to help people in distress. That was his dream,” a friend of his says. His friends Kamran and Musaib, sitting in the shady part of his home are mourning their friend’s untimely death. They are brooding over memories of Owais. A particular recent memory haunts Kamran and Musaib. The memory is somewhat foreboding of what fate eventually had in store for Owais. Owais was the kind of kid who would always be ready to accept challenges. A few months ago, people in his village bought a new wooden coffin to be used in the eventuality of a death in the village. Someone put forth a challenge for Owais. The challenge was if Owais would lie in the newly furnished coffin for two straight minutes, he would give him ten rupees. He wanted to challenge Owais if he was up for something like that. Owias readily accepted the challenge and lay in the coffin for some time and earned the reward. Owais’ father Mushtaq Ahmad is grief ridden and misses his young child badly. “Don’t CRPF personnel have kids at home that they shoot kids in Kashmir,” he kept saying repeatedly. Mushtaq recalls the memories he shared with his child. He says he would always tell Owais to not venture out of the home too often, as he was fearful of the situation in Kashmir. Mushtaq feared his son would become a victim of the conflict, to which the young Owais would say there is no harm in dying as a martyr. Owais studied at a local school in the area. His teachers recall him as an excellent student. “He was always available for his fellow classmates and other students,” his teachers say. His schoolteachers considered him a star of the school. 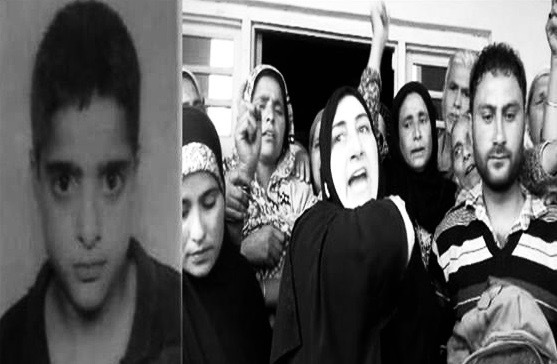 While narrating Owais’ acts, the principal of the school says that Owais was unlike many students of his age. “He had a calm demeanour and his behaviour was peaceful. He was patient,” he said. Owais was a budding leader among the little coterie of friends he had. His friends say Owais was possessed with leadership qualities at a young age. Owais was killed when CRPF personnel fired pellets at him from a very short distance of two or three meters and with Owais’s killing died all his dreams and passions. The ongoing violence in Kashmir has taken a massive toll on the young lot of Kashmir, especially the children who are the worst sufferers of the conflict. The minds of Kashmiri children are pre-occupied by the stories and ordeals of their fellow Kashmiris and this engenders feelings of deep mistrust and agony. Every child is dreaming and seeking an end to this era of conflict. The stalemate between India and Pakistan is seen in Kashmir with disdain as it will only mean more suffering for Kashmiris. Recently, in the aftermath of the Pulwama attack when India chose to attack Pakistan’s territory, people in Kashmir wishfully thought that in case of an eventual war between India and Pakistan, it will resolve Kashmir for all. The children in Kashmir are the real victims of the illegal occupation, which has made them passionate to demand Azadi (freedom) from the helplessness of their parents or leaders who are always called for questioning by the forces in case their children, chant the slogans of freedom or protest a killing. The children are demanding answers to endless killings, encounters occurring in Kashmir in a highly militarized atmosphere. The answer to this fiasco lies in the final and absolute resolution of the Kashmir issue. The situation right now is such that every young Kashmiri, including children as young as Owais, are adamant to find means to end or contribute to the resolution of Kashmir. The guiding motivation of youth in Kashmir is to carry forward the legacy of demanding their fundamental rights. G.N Khan is an advocate based in North Kashmir, working on the situation of child rights in armed conflict.